There's an exciting development for Miami-based celebrity chef Adrianne Calvo. Calvo has been nominated for the People's Choice Best Chef of Miami 2018 award by the Miami New Times, which was given to four other chefs as well. There are a few major distinctions between Calvo and her competitors, however. Calvo is the only woman to earn a nomination for this award furthermore, 5 years in a row. Additionally, her restaurant is the only one that is not built in a densely populated area (South Beach, Downtown Miami, etc.) 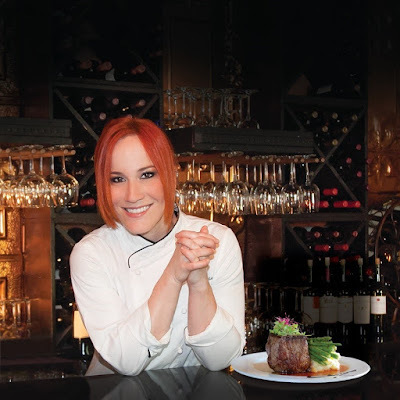 Chef Calvo and her restaurant, Chef Adrianne's Vineyard Restaurant and Wine Bar, are proof that you do not have to fit the typical mold of a restaurant or restaurateur in order to be a thriving success. Calvo's restaurant is regularly listed among the finest in all of South Florida, even though it is located in a quaint, rural area known as the Hammocks. She has spent her life breaking down barriers and this nomination is proof that she has no intention of stopping now. Calvo said, "this one's for the girls." As she hopes to inspire the younger generation of upcoming female chefs. As Executive Chef and Owner of Chef Adrianne's Vineyard Restaurant and Wine Bar, author, and television personality, Adrianne Calvo has built her career on the foundation of creating Maximum Flavor. She has an extensive inventory of recipes, with four cookbooks under her belt: Maximum Flavor (2005), Chef Adrianne: Driven by Flavor, Fueled by Fire (2008), #MaximumFlavorSocial (2014) and Play with Fire (2015), with a fifth book, The A-List, currently in production. Since opening in 2007, Chef Adrianne's Vineyard Restaurant and Wine Bar has taken its claim as one of the Top 50 Miami Restaurants, according to Yelp, Miami New Times Readers' Choice 2016 "Best Restaurant" and "Best Chef", as well as Thrillist's "Best Restaurants in Miami Right Now."